Arrangement of products/services within form. Hello, I would like to know if there is a way to re-arrange the services being within my form. Right now we use Paypal to accept payment. I would like to make my form and products look more attractive and I would like the placement of items to be more efficient. What would you like to make on your form you need to makeover the design? if so, you can try change the interface of your form using this guide, please follow that guide, so you can make your form looks better and professional look. I would like to re-arrange the layout of my products/services that are being offered. However, because they are within the papal widget, I don't know if that is possible? 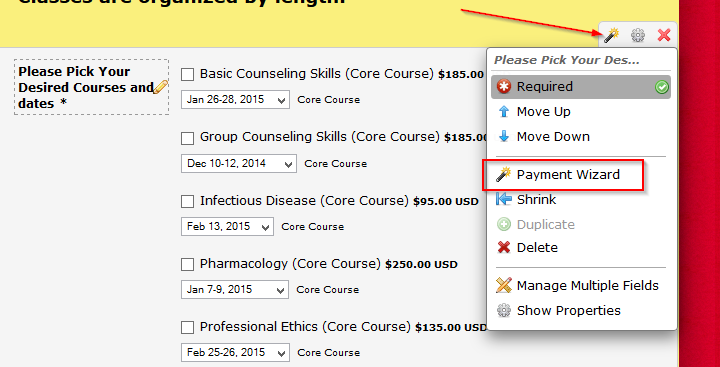 Since the products/services are integrated with PayPal, you can rearrange the fields from the payment wizard itself. You can access the payment wizard by choosing Payment Wizard option from the field settings menu. 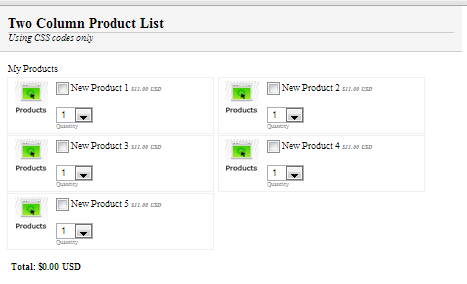 Follow the Payment wizard upto the products list and then you can drag and drop the products listed to change the order. Please refer to the session below. Complete the wizard and then save your JotForm. Hope this information helps. Let us know if you need further assistance. We will be happy to help.